As you probably know, "Baby's Request" is a Paul McCartney composition, which was first heard on the Wings album "Back To The Egg" back in 1979. 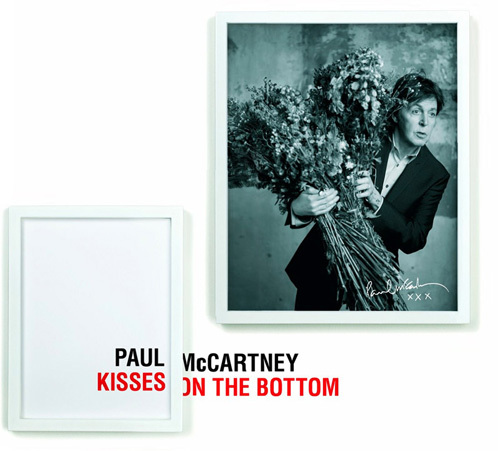 It's one of McCartney's pastiches of old time songs and neatly fits in with a row of songs like "When I'm Sixty-Four", "Your Mother Should Know", "Honey Pie", "You Gave Me The Answer" etc. We certainly hope that this track has been re-recorded for this album, because we already have the "Back To The Egg Album"..
"My One and Only Love" is a popular song with music written by Guy Wood and lyrics by Robert Mellin. The song was published in 1952. It was recorded by Frank Sinatra on May 2, 1953 and released on Capitol 2505 as a 4-track EP, both on 45 rpm and 78 rpm. It's available on the Sinatra compilation "Nice 'n' Easy" and the song has also been covered by Sting. The album artwork concept was conceived by Jonathan Schofield (Visual Director at Stella McCartney) and designed by Matthew Cooper (who has worked with artists such as Arctic Monkeys and Franz Ferdinand). Paul was photographed by his daughter Mary McCartney for the album sleeve. Please check out these links!!! Latest leaks!!!! !